Gold threads run subtly through this ladies scarf giving it a more expensive look than its actual price. Approx length 60". 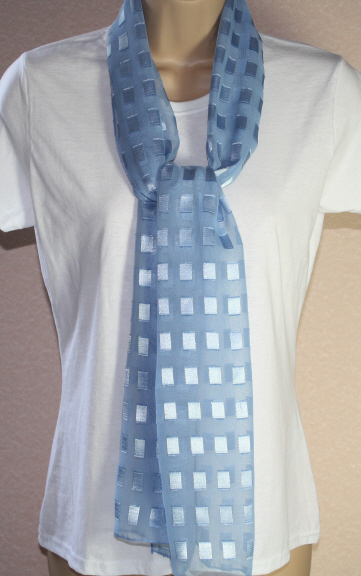 A soft ladies scarf in denim blue with a silver patterned dragonfly and heart magnetic clasp for easy fastening. Beautiful neckwear for any occasion.